22 year old Arielle Diane Garciano is the newly-crowned Miss World New Zealand 2014 after wowing judges with her stunning looks and outstanding efforts to raise money for a little girl from the Philippines who needed lifesaving facial surgery. The Christchurch contestant towered over a field of 15 to land the coveted title of most beautiful women in the land at the final day of competition at Auckland’s Rendezvous Grand Hotel tonight. 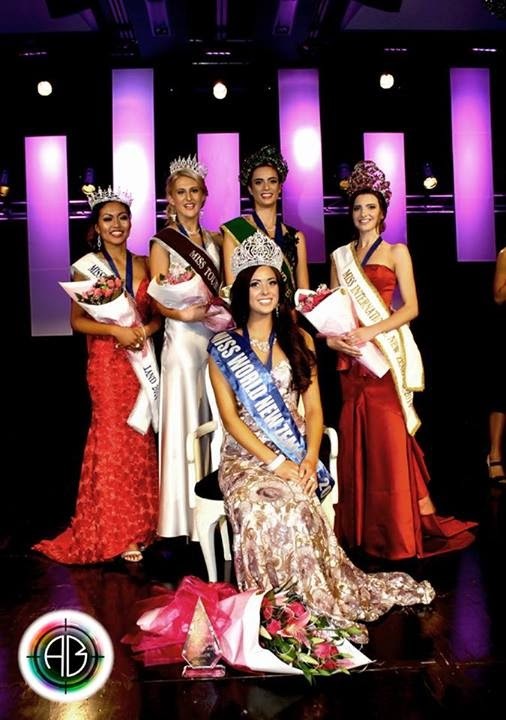 “She’s a very popular winner,” said pageant organiser Desmond Foulger. Foulger said as part of the show’s ‘beauty with a mission’ directive all contestants spent time organising charity fundraising events. This year a young girl from the Philippines was flown to New Zealand to undergo lifesaving surgery to repair a severe birth defect. The operational was successful and she was now recovering with family in Wellington. Foulger said the Kiwi-born beauty had spent countless hours in the earthquake ravaged city doing sausage sizzles and fashion shows to raise money for the sick little girl. Garciano would travel to London later this year to represent New Zealand in Miss World 2014.